CLOSEOUTS. 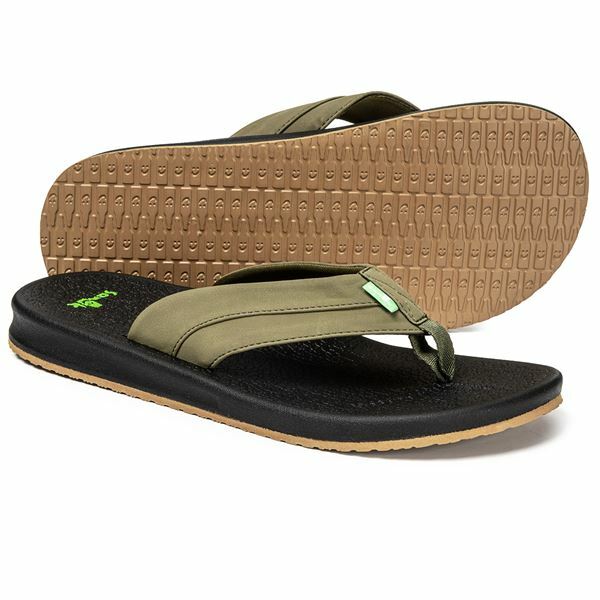 Spend summer at the shore in Sanukand#39;s Brumeister flip-flops - water-friendly sandals with a cushy footbed for lasting comfort. Available Colors: CHARCOAL/BLACK, CHARCOAL/LIGHTNING, DARK OLIVE. Sizes: 7, 8, 9, 10, 11, 12, 13, 14.